10th August must have been a busy day at Aldi HQ. First, a press release from their Consumer Press Office announcing their limited ‘Specialbuys’ gluten-free offer, available in stores from that date, including green pea and red lentil pastas and quinoa bars. There was the usual battery of statistics that tend to accompany these sorts of releases – there’s been a 44% increase in GF food sales in the last two years, etc – and lots about how expensive gluten free can be, and how much cheaper Aldi options were compared to its competitors. No mention of coeliac disease. 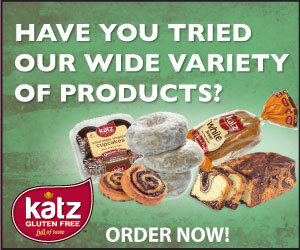 The newsletter directed consumers to the Going Gluten Free page on their site. There, we find lots of tired banalities – “gluten-free doesn’t have to mean fun free” – and vaguely troubling talk of gluten the ‘glue’ and of intestinal troubles and health issues, which “more and more people” are ditching gluten for, making it all appear quite popular and normal and inconsequential. Coeliac disease doesn’t sell gluten-free food, does it? Not even discounted gluten-free food. What did Aldi’s PRs have to say? Aside from the lack of advice to readers to consult their doctors if they feel they have health problems, the casual encouragement to pursue a gluten-free diet is irresponsible. I wrote to their PRs to tell them so. Nothing of interest or value there, and I asked again to speak to a spokesperson about the misleading newsletter content. I had previously asked them whether a dietitian had been consulted before the ‘go GF’ encouragement had been issued. This is really crap. After a worryingly slow response to warnings about the absent allergen labelling on their Brasserie Gluten Free Beer earlier this year (recap: barley was not mentioned on the label, they were alerted to it at least as early as 7th May, yet the recall was not issued until 25th May), you’d have thought that Aldi would have sorted their free from game out. They haven’t. Low prices can only get you so far. Pandering to fads won’t get you much further. Because when the next fad comes along and GF is done, the GF customers remaining will be those following the GFD for medical reasons. And if you then stop supplying them the nice buckwheat fusilli which they’ve got used to buying from you, they’re going to want to know why. I too contacted Aldi. I make a point of ‘informing’ people who should have known about the various intolerances, not just coeliac but non-coeliac gluten sensitivity, which has more allergens to fear. Did they respond at all? Some advantages are: access to a dietitian, membership of Coeliac UK, security of a firm diagnosis, possible prescription food. A firm diagnosis is also empowering: it gives you motivation to find out about your condition in order to manage it well. Feeling better on a GFD could be down to a/ placebo effect, b/ FODMAPs (far more likely), c/ other wheat-related intolerance / allergy, d/ other dietary changes / improvements made as a consequence or yes, e/ undiagnosed coeliac. There are too many possibilities and variables and self-diagnosis is not reliable.